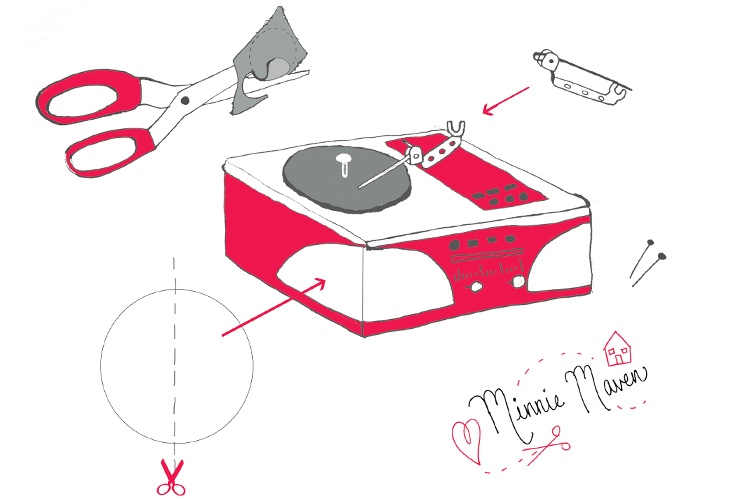 Lille Huset DIY: Record Player! Step 1. Discard the lid and turn the box upside down. The bottom of the box will be the top of your record player. Step 2. Cut a 1 inch circle out of your felt. Glue it on the top of your box and pierce a straight pin through the middle of the felt, this will be the nodule that will hold your record in place. Step 3. 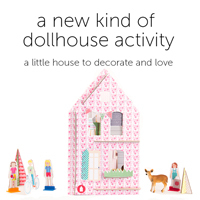 Ask a grown-up to help you use the hot glue gun to glue your pin back on to the box, next to the felt piece. This pin will act as your ‘record needle’. Step 4. Cut a strip of paper to wrap around the box. To make the speakers…I cut out a 1 inch circle from patterned paper and then cut the circle in half, gluing each half onto the corners for speakers. If you don’t have paper, you can just color your box and speakers with marker or crayon. Step 5. Take the other two straight pins and stick them through the front of your record player. These will be your volume controls. You can also draw on more buttons and knobs if you’d like. Step 2. Use a regular sized hole punch and punch holes from decorative paper or magazines and glue them onto the middle of your black paper circles. Step 3. Using an xs hole punch, punch a hole in the very middle of your records. If you don’t have an xs hole puncher, then just pierce a hole using a straight pin. Step 4. 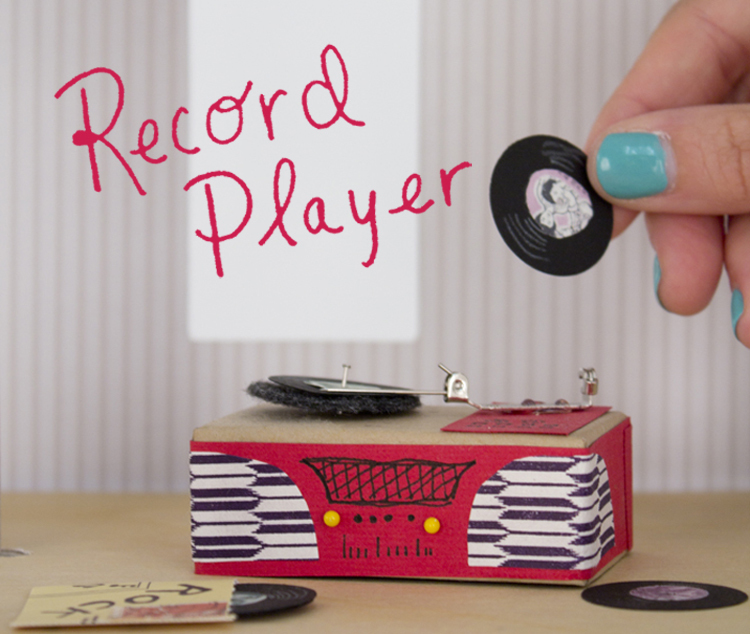 ‘Play’ your records on your player and rock out!